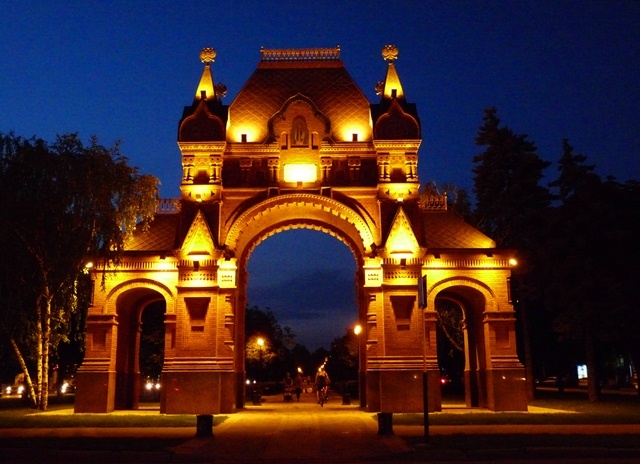 Krasnodar was founded in 1794 under the name of Yekaterinodar. 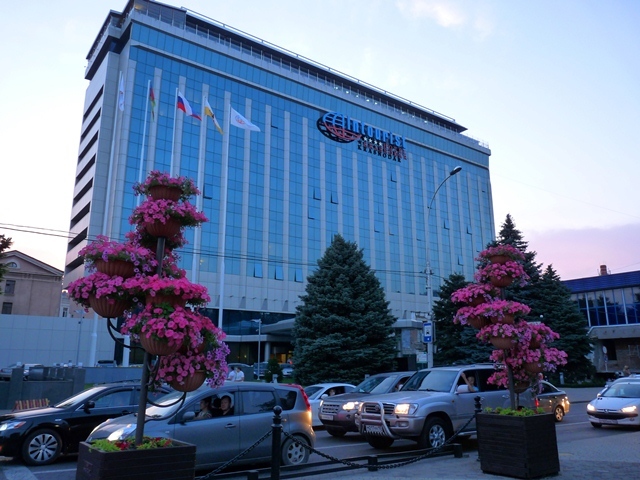 The original name means "Catherine's Gift" simultaneously in recognition of Catherine the Great's grant of land to the Cossacks and in recognition of Saint Catherine, the Martyr, who is considered to be the patron of the city. 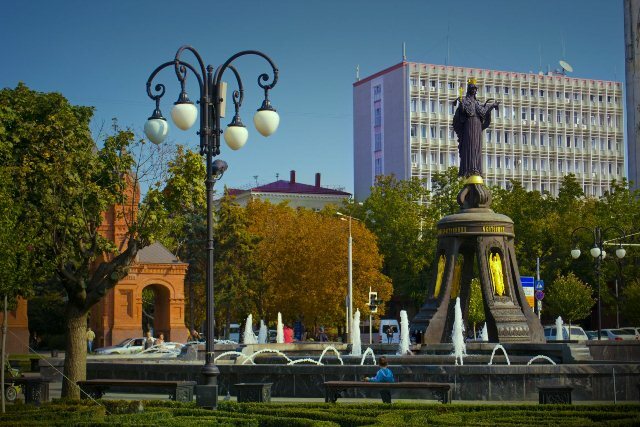 After the October Revolution, Yekaterinodar was renamed Krasnodar (December 1920). 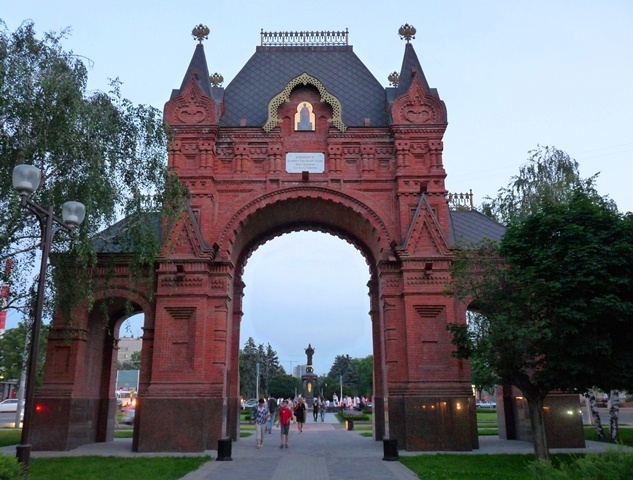 Thus, the city's current name means "red gift" or "gift of the reds". 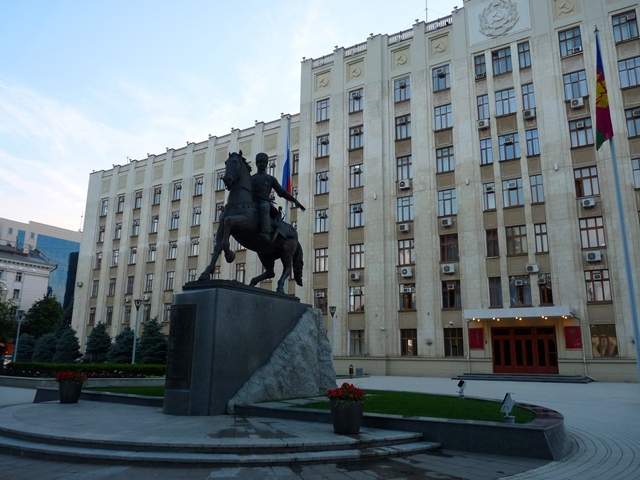 During the World War II Krasnodar was occupied by the German Army. The city sustained heavy damage but was rebuilt and renovated after the war. 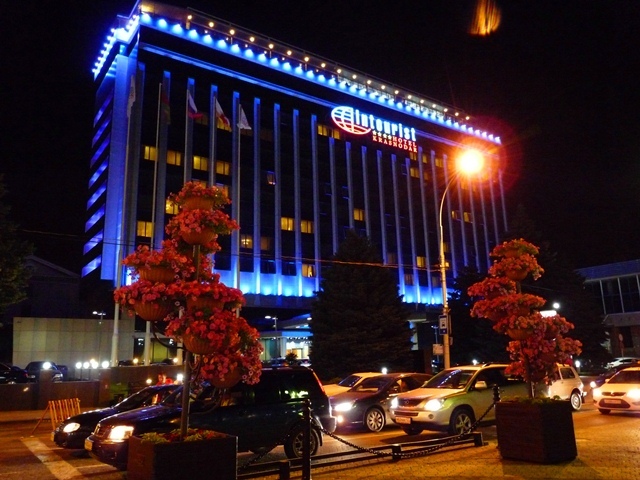 Nearly all major attractions are located along Krasnaya street, Krasnodar's main leafy boulevard. 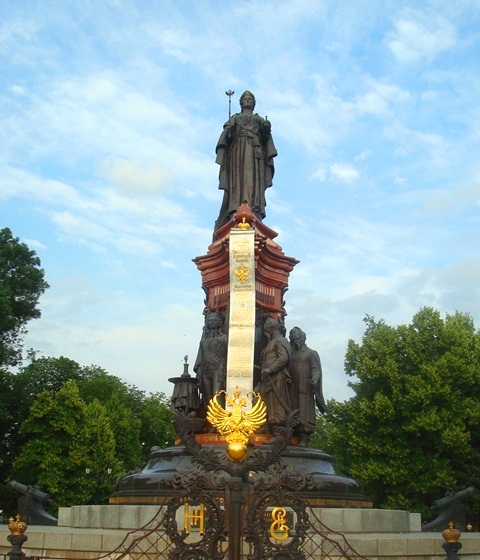 The statue of Catherine the Great. The statue of Saint Catherine.